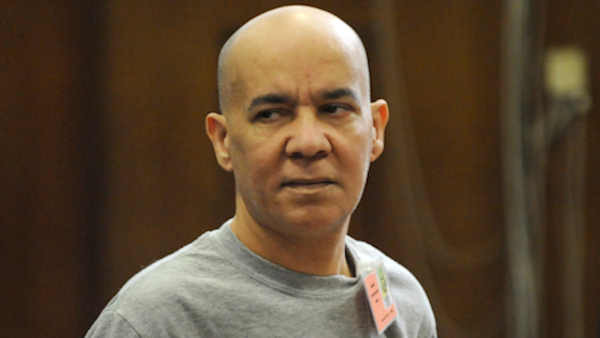 NEW YORK -- It took nearly four decades to find and try a suspect in the haunting disappearance of first-grader Etan Patz. The trial itself spanned three months of testimony and 18 days of deliberations before a jury finally deadlocked. Now it's about to unfold all over again. Manhattan state Supreme Court Justice Maxwell Wiley said opening statements are expected as soon as Wednesday in the retrial of a case that reshaped American parenting and the pursuit of missing children. Etan, who vanished while heading to his New York City school bus stop in 1979, was among the first missing children whose face was put on milk cartons, and his case prompted many parents to stop letting their children roam their neighborhoods alone. Prosecutors will have to reassemble a murder case that was already complicated by faded memories, the deaths of witnesses and the fact that no trace of Etan has ever been found. The defense goes in knowing the last jury voted 11-1 to convict. And Etan's parents face revisiting their 6-year-old's disappearance and suspect Pedro Hernandez's account of choking him, given in recorded confessions that defense lawyers say were false. Still, Etan's father has said the first trial succeeded in providing long-sought answers for the Patzes, if not in resolving the case. Now, finally, "we hope it will be over soon," Stanley Patz said by email last month, declining to elaborate ahead of the retrial. Etan disappeared May 25, 1979, the first day he was allowed to walk the two blocks to his bus stop alone. Hernandez was then a teenage stock clerk at a nearby corner store. But he wasn't a suspect until 2012, when his brother-in-law told police that Hernandez had told a summer 1979 prayer group he had killed a child in New York. His ex-wife and a neighbor later said he'd also made similar statements to them. Detectives then got a confession from Hernandez himself. "I wanted to let go, but I just couldn't let go. I felt like something just took over me," Hernandez said on video, describing how he choked the boy after luring him to the convenience store basement with the promise of a soda. Prosecutors suggest the motive was sexual. Hernandez's defense says the Maple Shade, New Jersey, man has mental problems that made him imagine he attacked Etan. A defense psychiatrist diagnosed Hernandez, 55, with schizotypal personality disorder; symptoms can include delusions, which Hernandez's family says he has had. "Pedro Hernandez is the only witness against himself," defense lawyer Harvey Fishbein told jurors last year. "Yet he is inconsistent and unreliable." The defense also argued that a different, longtime suspect was the more likely killer. After the first trial, many jurors said they felt Hernandez's confession was compellingly detailed and supported by his earlier admissions. Some jurors attributed his mental problems to a guilty conscience. But the lone holdout said he felt that Hernandez's mental health history was a big factor and there wasn't enough non-circumstantial evidence to convict him. Prosecutors' and defense lawyers' central arguments and evidence haven't changed, but both sides are approaching the retrial mindful of the deadlock and the growing passage of time. During jury selection this month, Fishbein asked prospective members to vouch that if they ended up becoming a lone holdout for or against conviction, they wouldn't change their minds just because no one else agreed. And prosecutor Joan Illuzzi asked whether any potential jurors felt the 37-year-old case was "enough already" and shouldn't be pursued further. None said yes. About 5 percent of felony trials end in hung juries, and roughly one-third of them are retried, rather than plea-bargained or dismissed, researchers have found. Officials and court groups don't have statistics on the outcomes of those retrials. But anecdotally, most end in convictions, as do most trials in general, said James A. Cohen, a Fordham University School of Law professor who specializes in criminal defense.